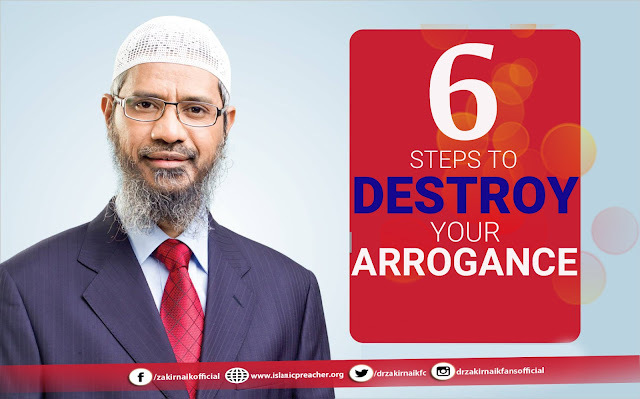 (1) Understand The True Dangers Of Arrogance. The Prophet Muhammad (saw) said ''No one who has an atom's weight of arrogance in his heart will enter Paradise'' (Sahih-Muslim). (2) Acknowledge Your Limited Nature. Allah states in the Quran ''Indeed, you will never tear the earth and you will never reach the mountains in height.?'' (Quran-17:37). (3) Realise The Greatness Of Allah. The Scholar Ibn Qayyim states ''Humility comes from knowing about Allah, His names, attributes, and His overall Greatness.'' (Kitab Al-Ruh). (4) Never Over Praise Yourself. (5) Be The First To Give Salaam. (6) Understand The Reward For Having Humility.